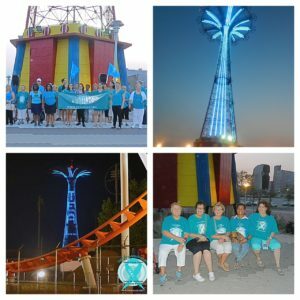 For one week starting on September 1st, to kick off Ovarian Cancer Awareness Month, Luna Park’s iconic Parachute Jump in Coney Island Brooklyn was lit teal in support of ®T.E.A.L andOvarian Cancer Awareness Month. 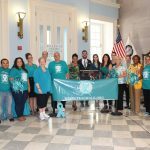 There was a press conference followed by a lighting ceremony. 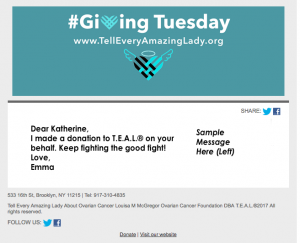 The beautiful teal color was seen from afar and helped ®T.E.A.L continue its efforts in spreading awareness.